Ramseur, founded in 1889, was named for Stephen Dodson Ramseur, the youngest Confederate general of the Civil War. The town is conveniently located 11 miles east of Asheboro, 10 miles southwest of Liberty, and nearly three miles southeast of Franklinville. 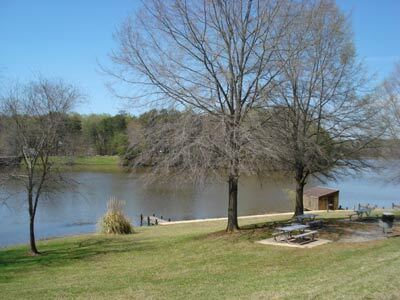 In 1984, the Kermit G. Pell Water Based Recreation Facility, better known by locals as Ramseur Lake, opened with access to picnic shelters, a playground, and fishing piers. Boats with large motors are permitted to operate on the lake, provided they are fitted with and propelled exclusively by a or other motor which is 10 HP or less. Tour Millstone Creek Orchards, a working orchard that allows guests to pick their own fruit including apples, peaches, blue and blackberries, grapes, pumpkins and summer vegetables. Don't miss their famous apple cider slushies at the Apple Barn Country Store! The Ramseur Community Museum includes a large collection of historic artifacts and memorabilia tracing Ramseur's history from the community's early settlement in the 1840s through present day. The museum is housed in the historic former Bank of Coleridge building on Main Street.